Guwahati : The flood situation in Assam continues to be grim with over 3.5 lakh people remaining affected in 13 districts, an official of the state Disaster Management Authority said on Tuesday. The floods have claimed one life so far, the official said. A minor girl was drowned in Lakhimpur district on Monday. Over 740 villages in Lakhimpur, Golaghat, Jorhat, Cachar, Dhemaji, Biswanath, Karimganj, Sonitpur, Darrang, Hojai, Majuli, Barpeta and Nagaon districts have been affected. 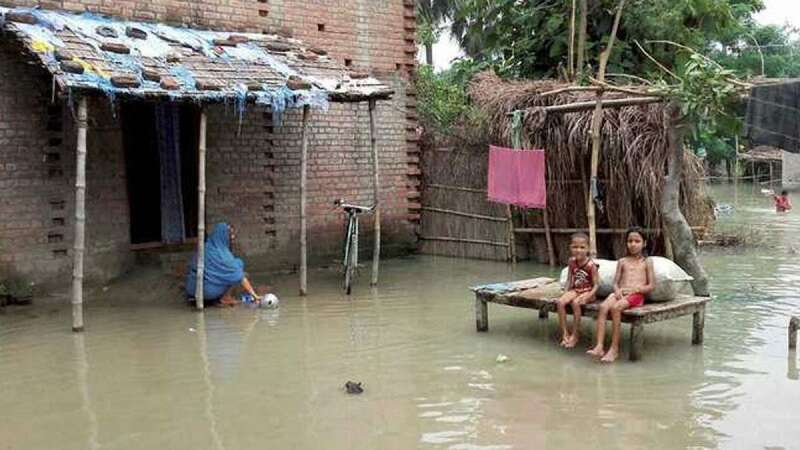 The situation is worsening in Karimganj district where the flood waters have submerged over 200 villages affecting over two lakh people. In Lakhimpur also, over 150 villages have been affected due to the floods were close to one lakh people were reported to be marooned. The flood waters have also hit standing crops in 14,884 hectares of agricultural land in the state. Most of the affected farmlands are located in Jorhat and Dhemaji districts, the official said. The administration has intensified relief and rescue operations and opened 145 relief camps in different districts housing over 21,000 people so far. The floods have also damaged infrastructure in Majuli, Biswanath, Darrang, Karimganj and other places, affecting roads and bridges and severing communication.